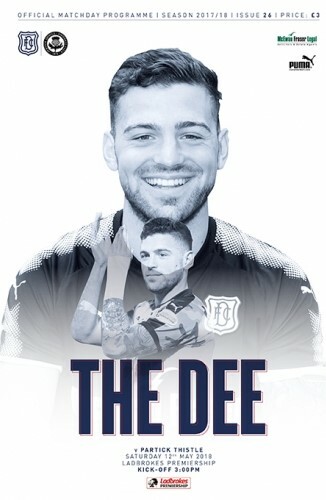 For the final games Dundee made four changes to the team which played at Ross County, in came Keeper Calum Ferrie, Defenders Daniel Jefferies and Genseric Kusunga and Roarie Deacon. Darren O'Dea was suspended. Elliot Parish and Randy Wolters moved to the bench. Steven Caulker was injured. Partick started well and Ferrie made a fine save early on. The young keeper looked confident in commanding his box and was also quick to shout to his defenders. 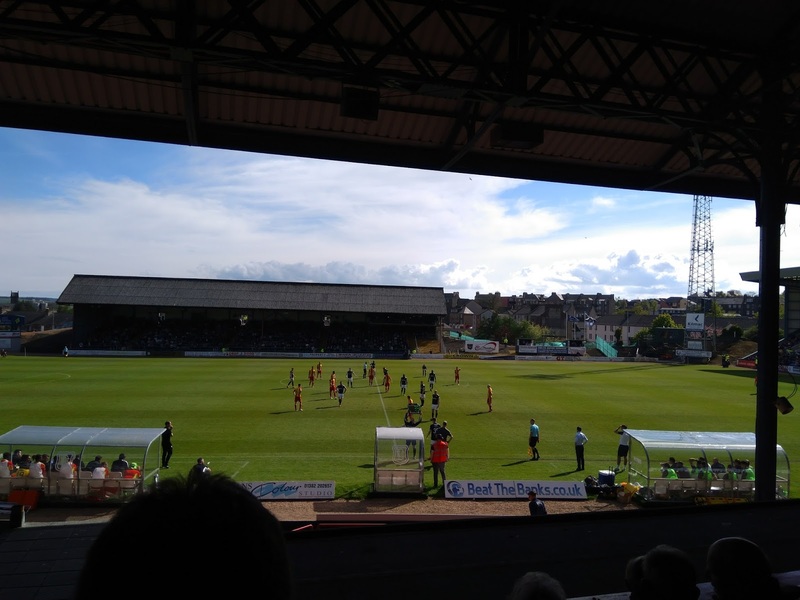 Dundee struggled to create anything and it seemed end of season fare. Paul McGowan was unlucky after a fine run and the Thistle keeper done well to save his shot. But 10 minutes into the second half and Paul had to go off injured. Randy Wolters came on with Wighton moving into a more central position. Dundee lost their way a wee bit going forward was much slower and less direct. Partick then got the vital goal to leap ahead of Ross County who were winning at Perth. Dundee saw the game out with very little in chances. They never seem to win the last game of the season to send The Dundee fans home early. It was a good enough crowd who turned up today and deserve just a wee bit more. Dundee: Ferrie, Kerr, Kusunga, Jefferies, Holt, Spence, Kamara, Deacon (El Bakhtaoui 74), McGowan (c) (Wolters 35), Wighton (Scott 60), Murray. Unused Subs: Parish, Curran, Aurtenetxe, Moore. On this day in Season 1983-84 Dundee beat St Johnstone 2-0, both goals were scored by Iain Ferguson.